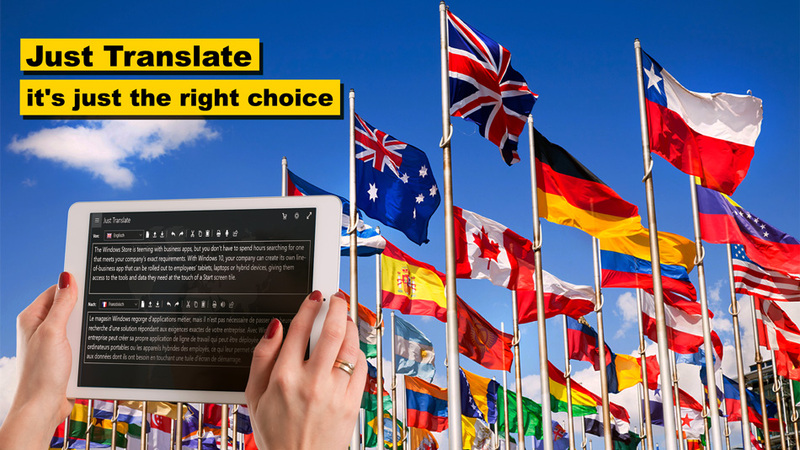 Just Translate is the complete translation environment for language professionals who want to edit, review and manage translation projects as well as corporate terminology. Deliver world-class localized content to support your global sales and marketing efforts with software trusted by translation professionals worldwide. Just Translate lets you dictate documents by voice on any device quickly and accurately so you can translate them anywhere you go. Speak instead of type. No training needed. Start speaking and Just Translate recognize your voice, transform it into text and translate it into another language. Use your most powerful tool - your voice - and put it to work. If you learn better when you can hear what you're reading or writing, Text to Speech lets you hear words read aloud to help with expressive speech development — or even communicates for you by speaking the words you type.